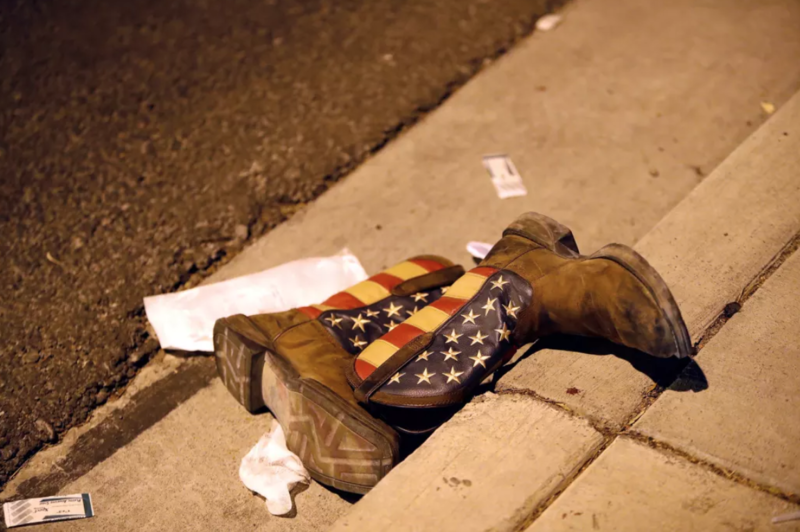 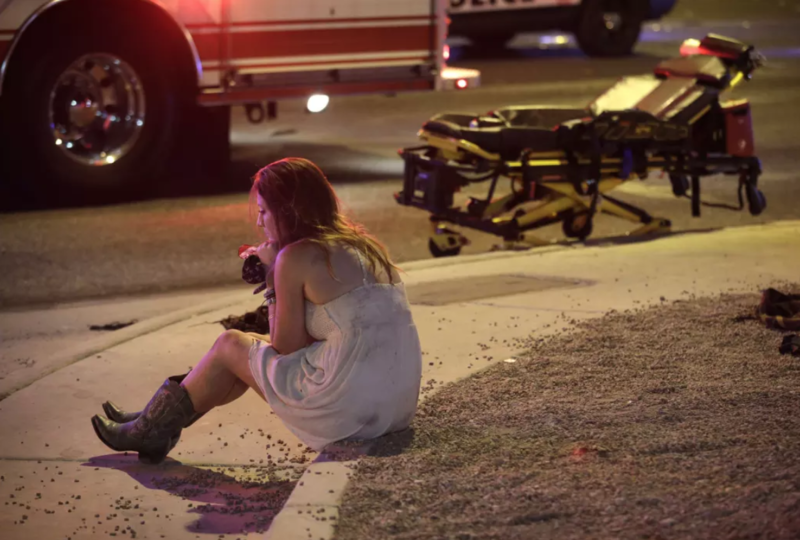 Late last night, the deadliest mass shooting in American history took place. 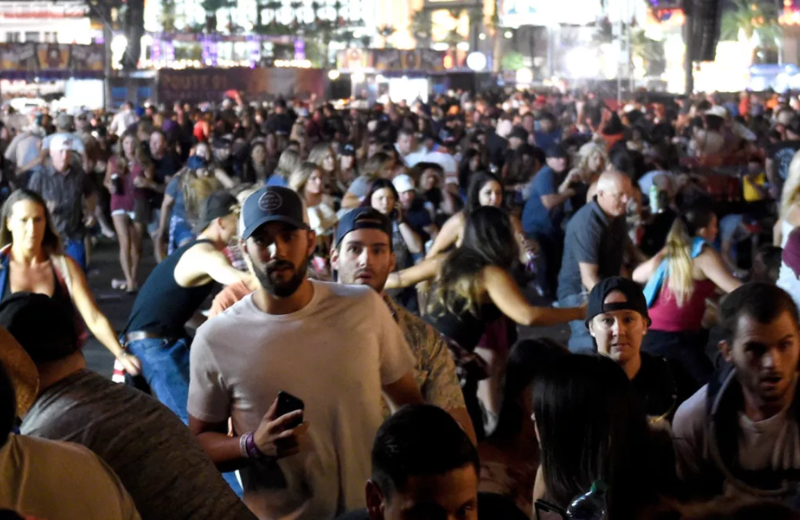 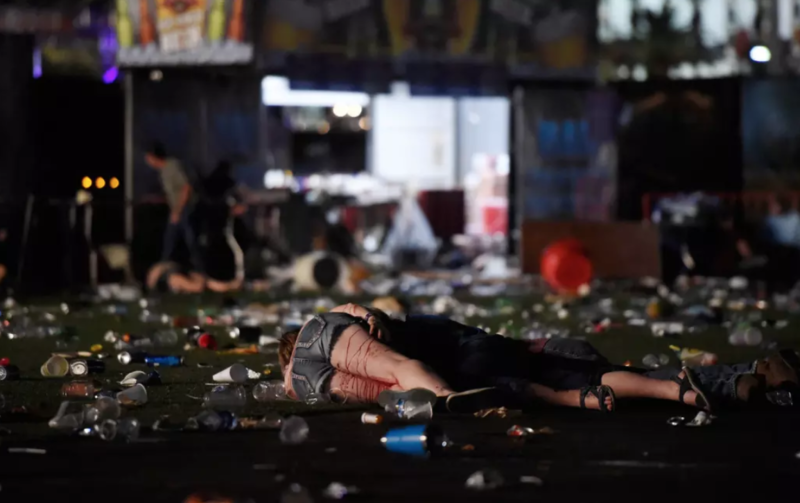 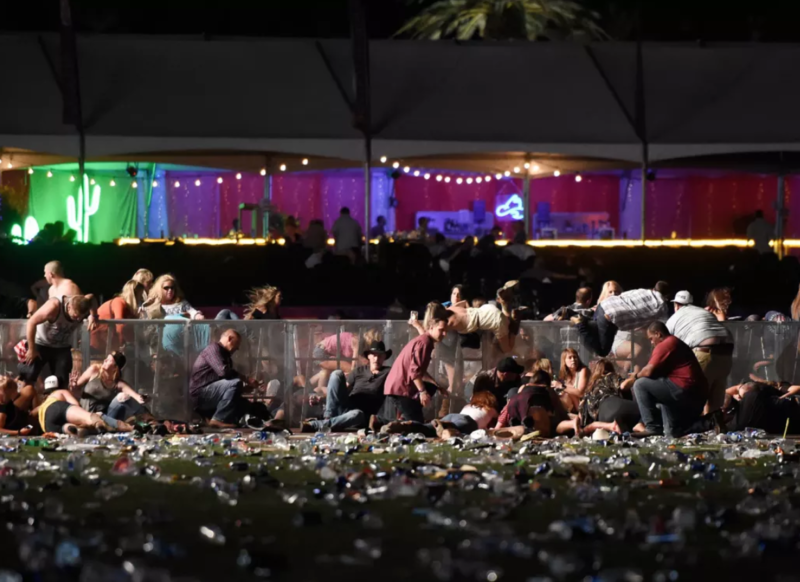 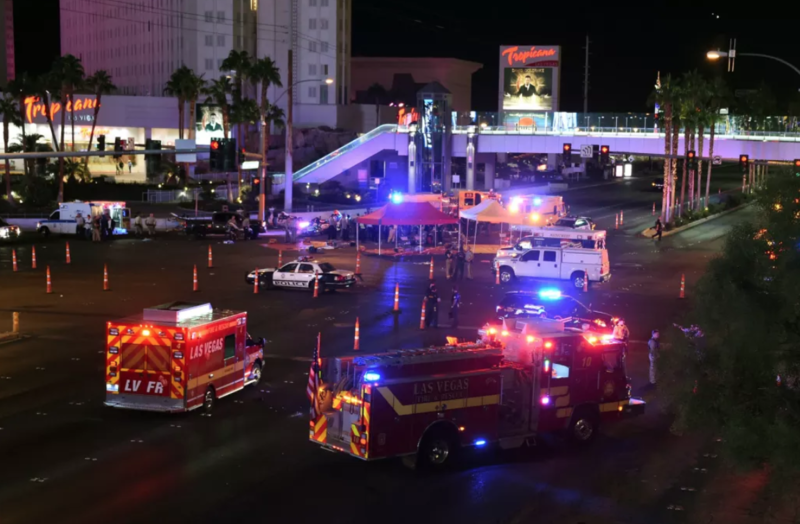 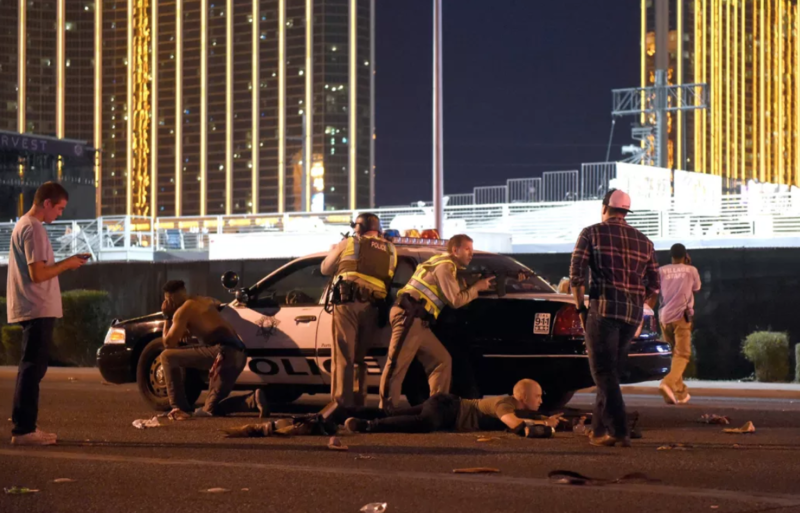 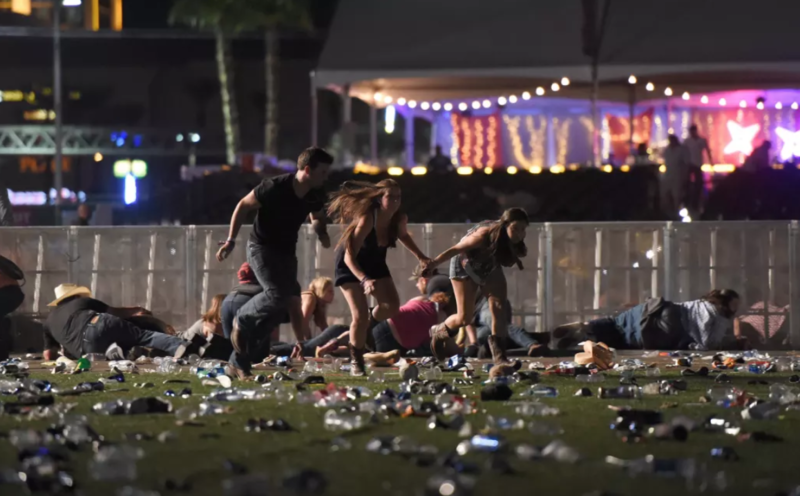 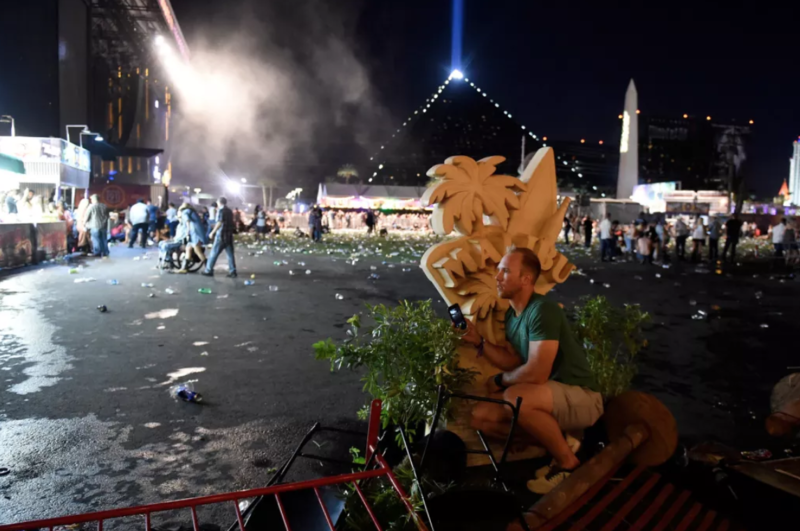 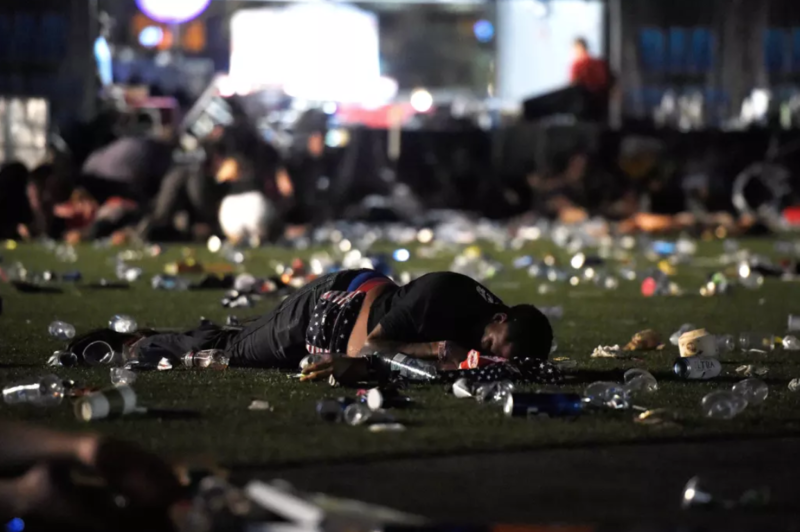 During the Route 91 Harvest music festival in Las Vegas, Nevada, a 64-year-old man named Stephen Paddock opened-fire from the 32nd floor of the Mandalay Bay hotel into the crowd of concert-goers. 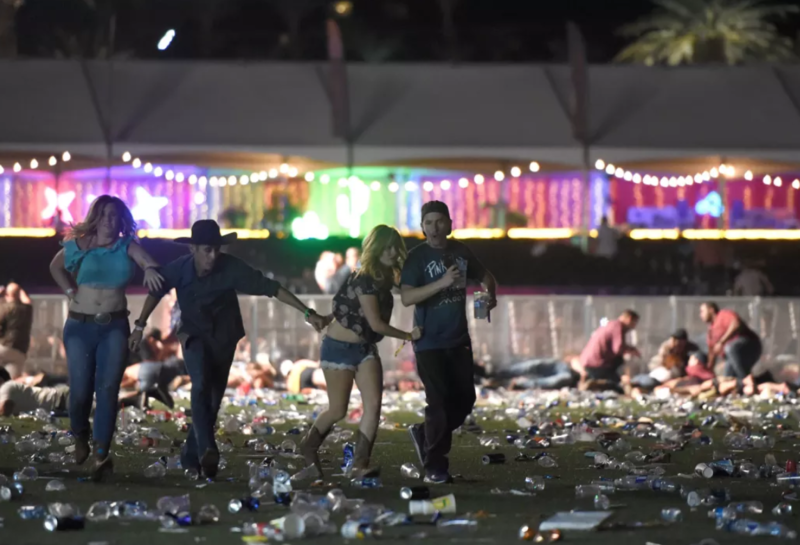 At least 59 people have been killed, and over 527 others have been injured. 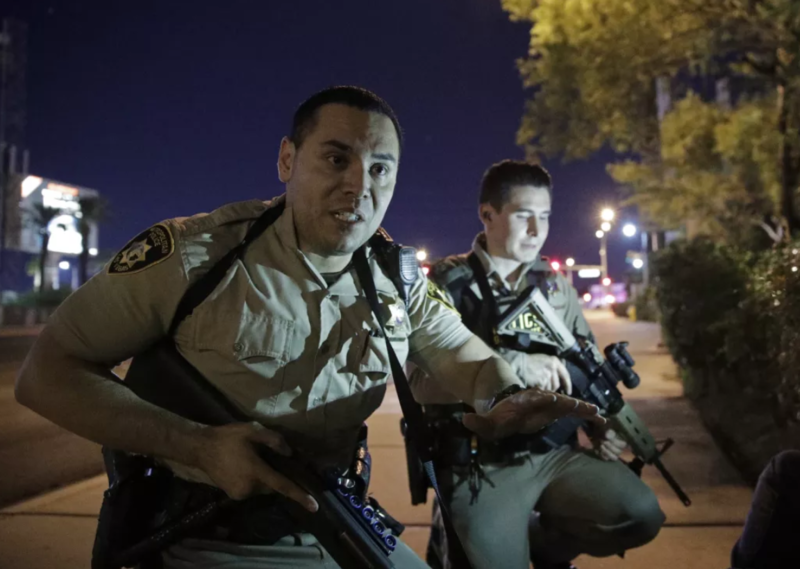 As police closed in on Paddock, he chose to end his life. 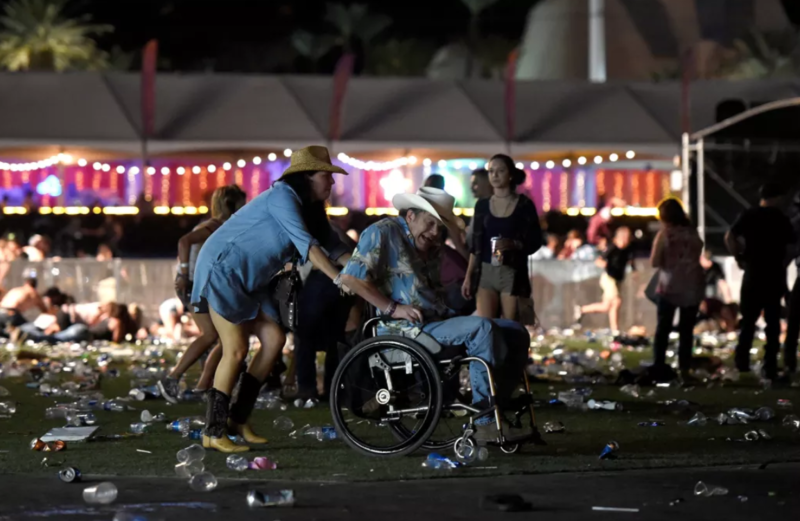 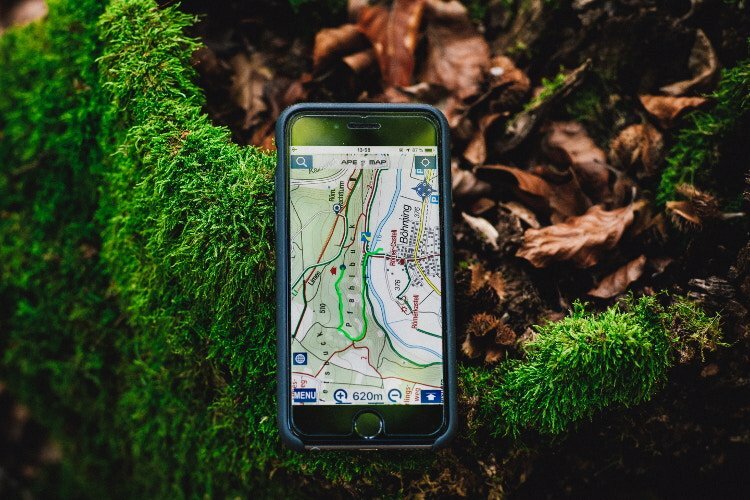 Now, those who have been injured — and the families and close friends of the afflicted — are tasked with healing from the trauma. 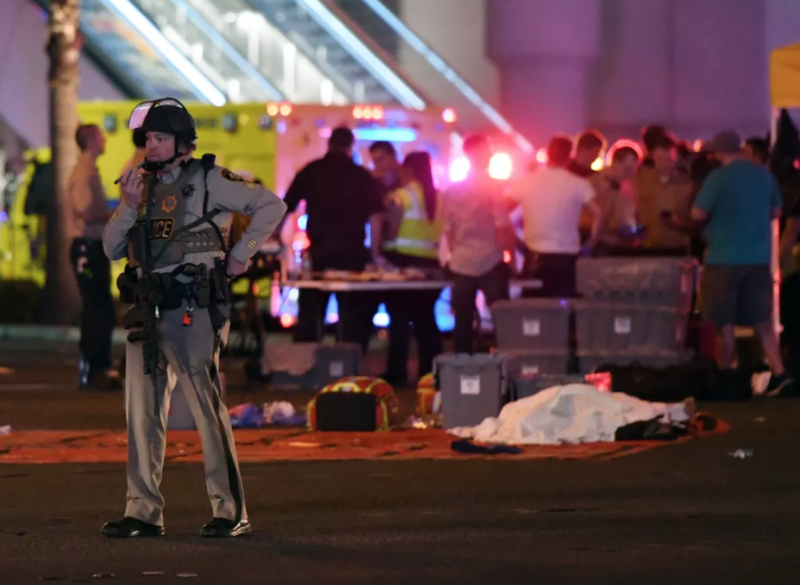 The recovery process will not occur overnight and will likely impact American politics for years to come. 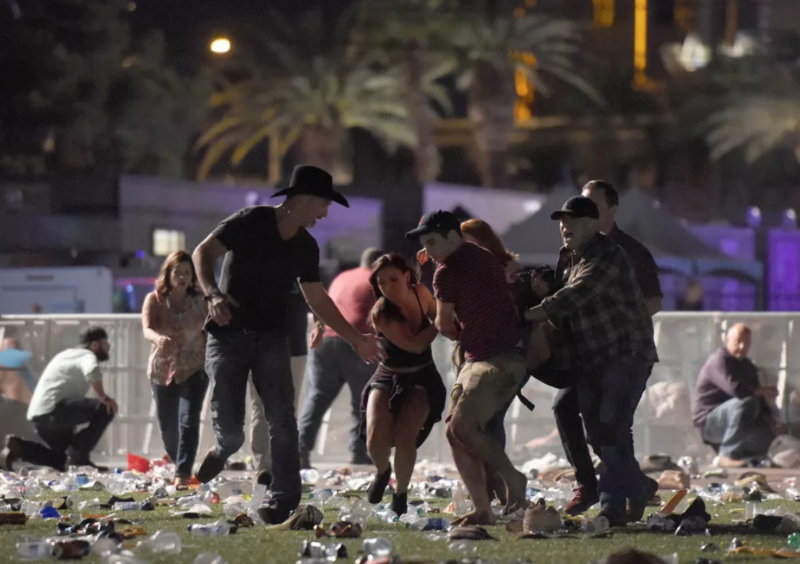 Since the incident, dozens of videos and photographs from the incident have been shared. 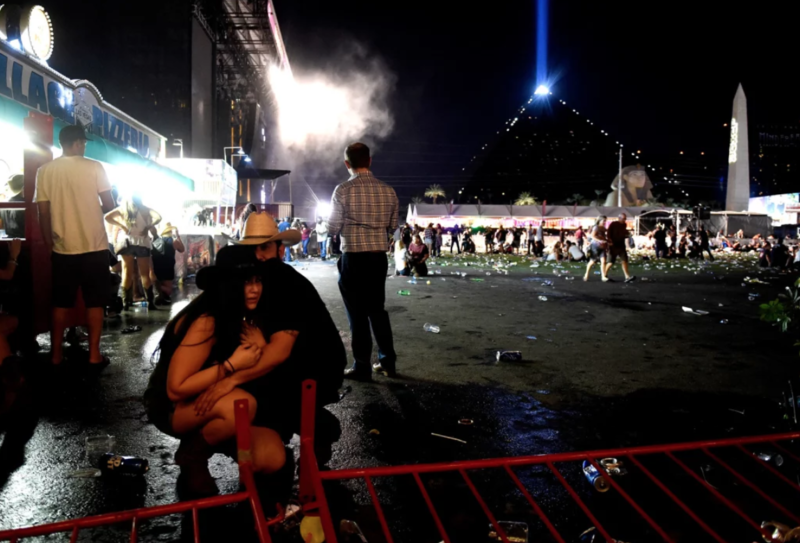 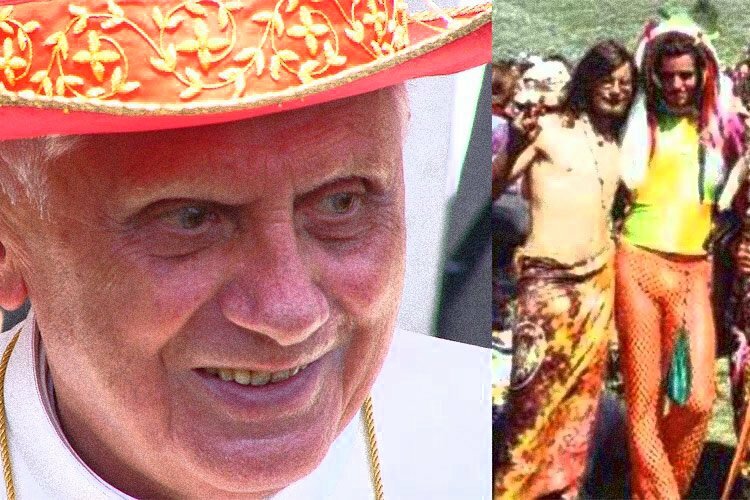 However, some of the most poignant and surreal ones follow. 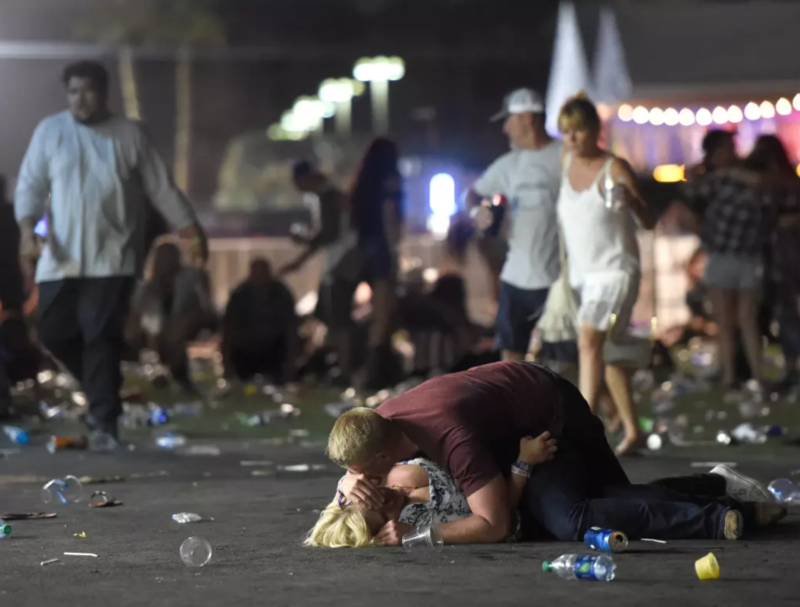 More details about the tragedy can be found here. 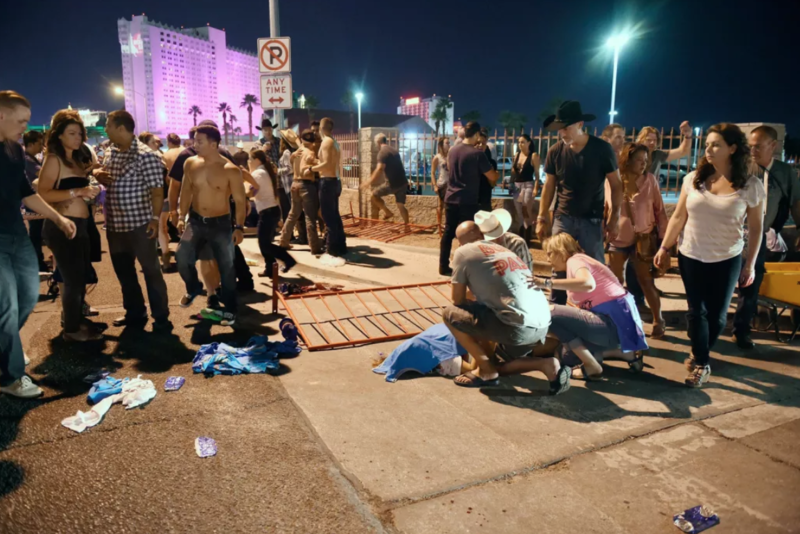 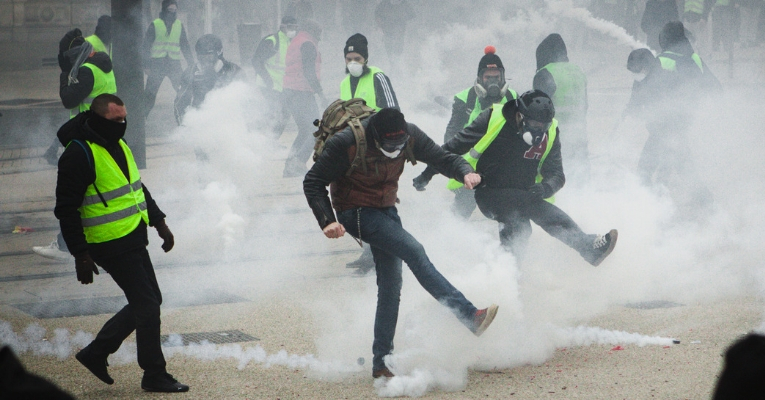 People were climbing over barricades to escape the barrage of gun fire. 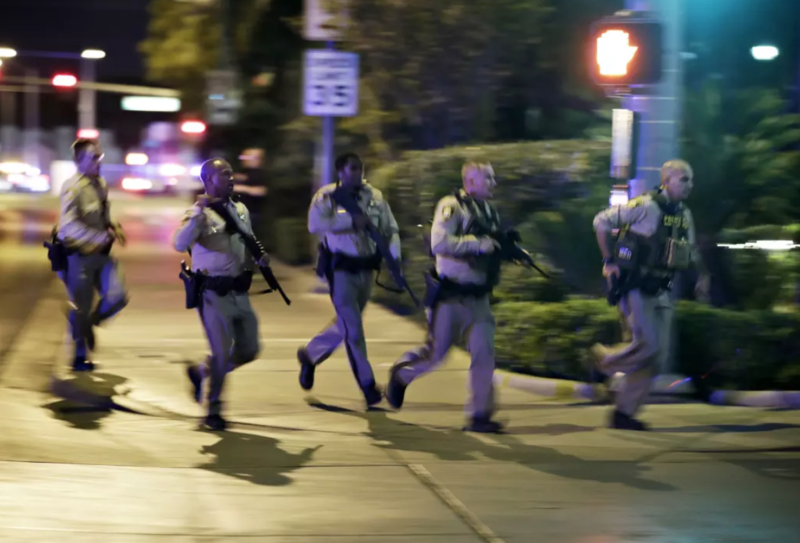 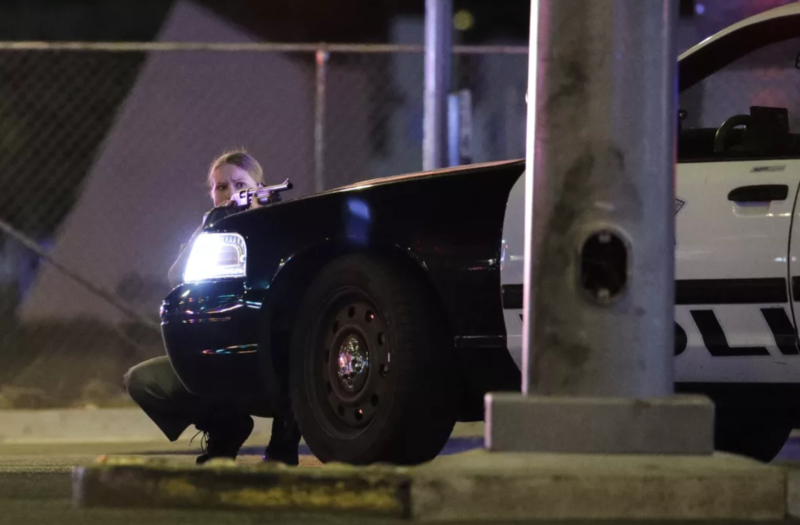 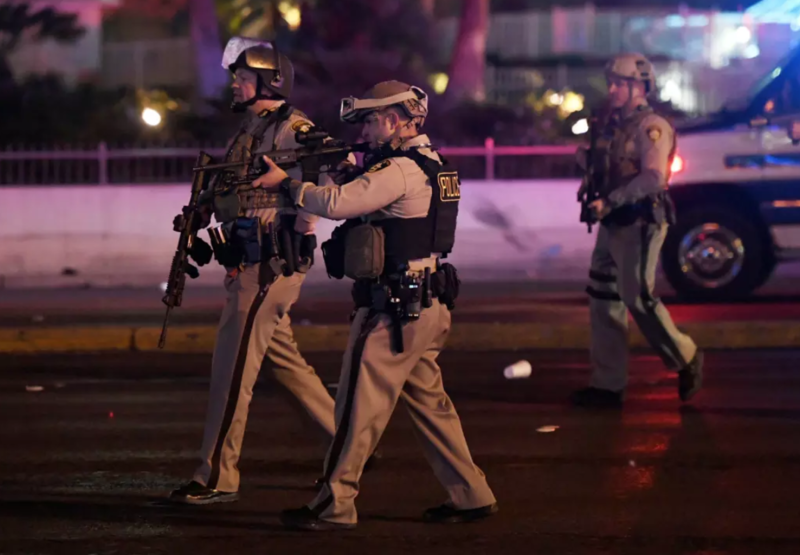 Las Vegas police were quickly dispatched to the area. 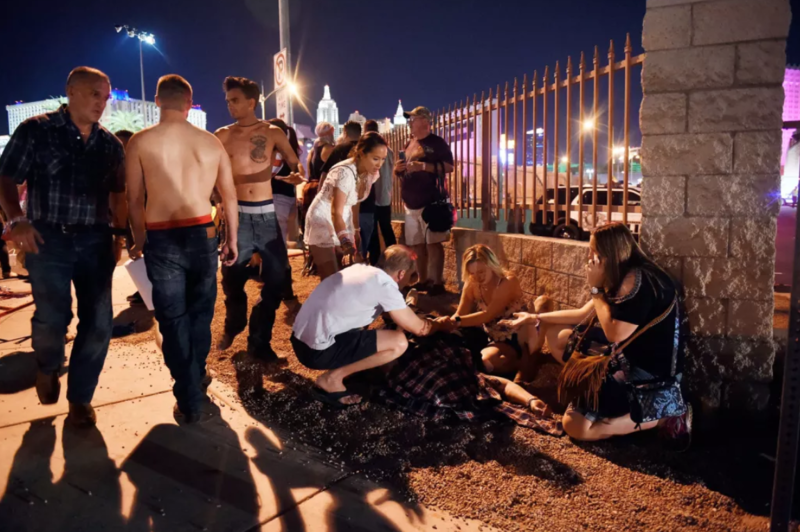 Concert goers administered medical aid to victims until paramedics arrived.